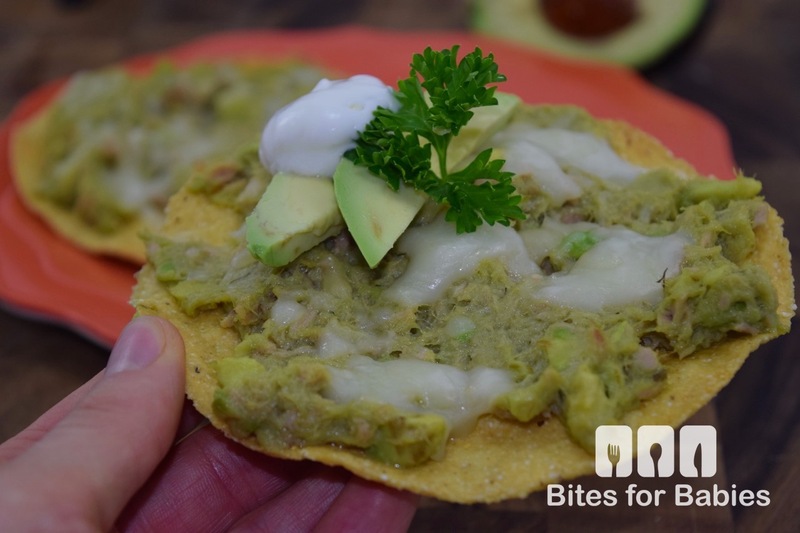 These simple, easy to make tuna avocado melt tostadas combine the essence of Mexican cuisine with the traditional all-American tuna melt. 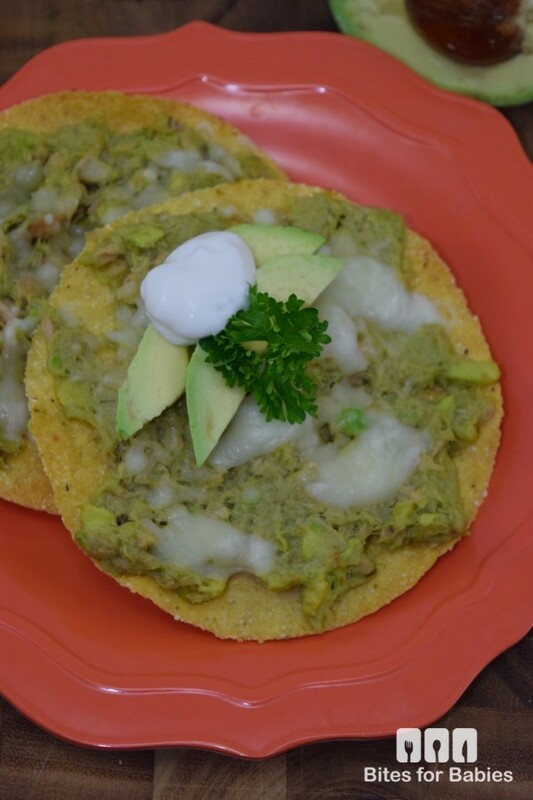 Crunchy corn tostadas covered with a combination of flaky tuna, creamy mozzarella cheese and a heart-healthy dose of avocado. Dinner time is often ‘crazy time’ for many parents so preparing a meal often leads to frustration and stress. With this easy and quick family-friendly dinner you can rest assured that you will relieve a ton of stress during dinner prep. If your kids like to help in the kitchen this simple meal is a great one to get the kids involved in preparing. This recipe is easy to personalize; add your favourite ingredients, such as fresh cilantro, black beans, chopped tomatoes, salsa, jalapeno or red pepper flakes, the list goes on. I opted for a very small portion of mozzarella, since the tuna and avocado mixed together is already quite rich however, you could add an entire layer of cheese, if desired. For those of you don’t like tuna, cooked chicken, finely chopped would work well too. This recipe couldn’t be any easier to prepare; simply mash the ingredients in a bowl, dollop onto the tostadas then pop into the oven for about 5 minutes or until the cheese is melted and bubbling. 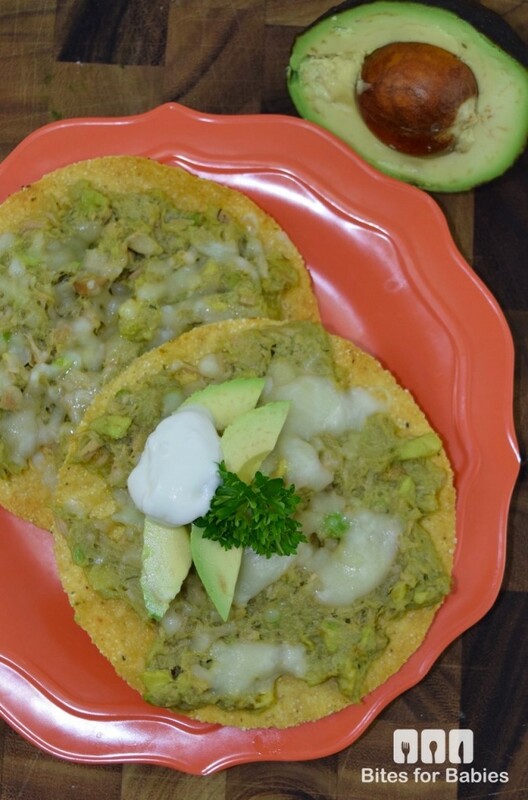 These tuna avocado melt tostadas also make great leftovers. Reheat in the microwave or warm in the oven to revive some of the crispiness of the tostadas. Score the avocado lengthwise then remove the pit. Score the flesh in cubes then scoop out with a large spoon. Add the avocado to a medium bowl with the tuna, dill, and lime juice and mash with a fork until combined. Place the tostadas on an ungreased baking sheet. Dollop 2-3 tbs. 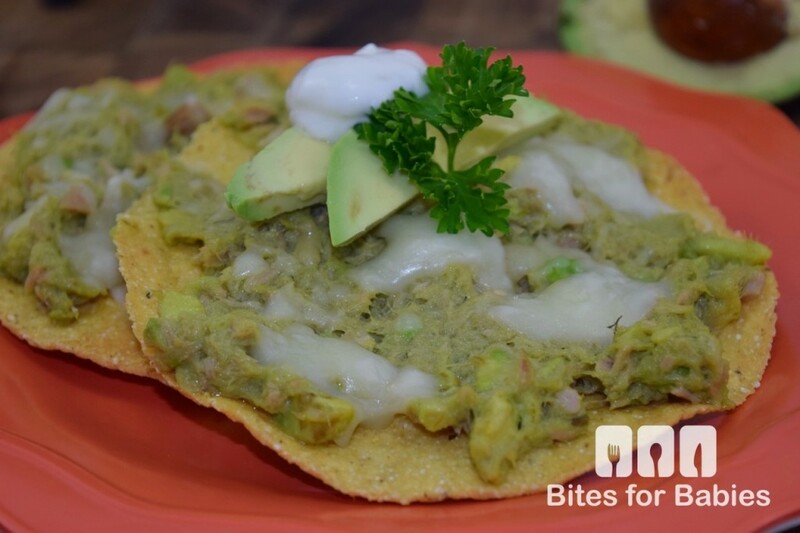 of the tuna and avocado mixture onto the tostadas and spread evenly over the entire tostada. Add the mozzarella cheese, quantity as desired. Set the oven to broil on low-medium heat. Place the baking sheet on the top rack and cook for about 5 minutes or until the cheese is melted and bubbling. Serve warm. I love tuna and cheeses and avocados but I just can’t picture them together. 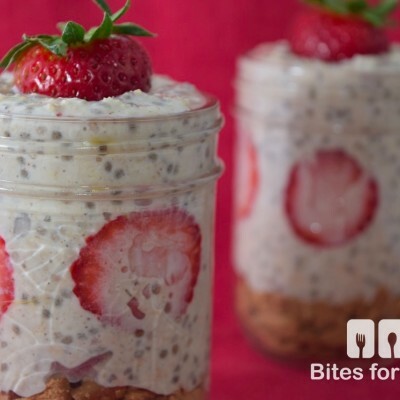 This is packed with protein goodness so good on you for putting it all together. I guess I’ll have to try it one day. Such an easy recipe!1 I must make it plus my love for avacados would make this a winner! I have never tried tuna with avocado. It does sounds good. You have taken some Great Pictures! I don’t know much about hot peppers because I can’t handle anything spicy!! Thanks for the tip though…I’ll pass it on to my husband since he loves spice! We just bought tostada shells and were going to use chicken. I love this option with the tun a and guac together. Yum! I’m tempted to use chicken instead, even if I don’t eat it! I think the kids will love it too. This is a healthy and tasty idea! YUM! I love tuna and avocado! I can’t wait to try this out! You always come up with unique ideas. I love tuna and avocado, but I’ve never tried them together. Thanks for the recipe! Yum! What a great way to use the tostados. And the avocados too, for that matter. They sure look scrumptious. I love tostadas topped with anything really! I also top them with avocados, tomatoes and cucumbers, or shrimp ceviche! I’ve never made a tuna melt before actually, but this is a cool way to do it! I love tostadas! I love avocados but never eaten it this way. Your posts always facinate me… lol Soooo many new ideas for me! 😛 Need to start trying them. Oh, wow! I love this idea! I love avocados but I prefer my tuna cold. I would try a modified version of this. My kids love chips and anything. I actually make this tuna and avocado mix and pack it in a sandwich! You had me at avocado. I bet it is amazing with tuna!! Great recipe!! Wow that looks super good. I’m not a huge avocado fan, but I know my husband and kids love it so this would be a treat for them! I’m an avocado fanatic so I know I would love these, too. Just looking at the photos makes me want to rush in the kitchen and make them. Yum! If you love avocados (and tuna, of course) you’ll love this! That looks absolutely delicious. We love avocados. I can’t wait to make this for my family. I might have to try this with chicken. We love Mexican food in our house. Of course, two in my family wouldn’t touch them because of avocado. My daughter won’t eat avocado alone or mixed in anything else at the moment…but she will eat this!! Oh my, I can’t wait to make these! I love avocado and I love tuna, so I’m sure I would love them together! They actually make a really great combo! YUM! I know what I will be making for lunch tomorrow! Thanks for sharing! Ooh these would be so rich and delicious. What a great way to use tuna! I have to love that touch of mozzarella too. My husbnd love tuna and avocado so I WILL TRY YOUR RECIPE. Looks very deli-cious and very healthy too! Thanks!! 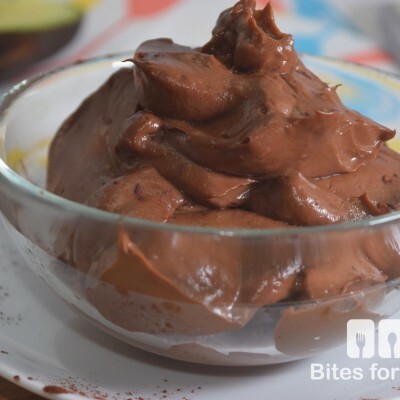 My husband isn’t keen on avocados but he likes tuna…that convinced him to try this…and he did love it! Such a great snack idea. And a great way to make tuna taste better! Thanks for sharing this recipe! It makes it more flavourful and it also adds some texture! This looks like a wonderful snack idea. Thank you for the suggestion. I’m always on the hunt for more healthy snack choices. I love the idea of using tostados! I’m not big on avocados, but I would mind trying an adapted version of this, with lots of cheese. I guess that would make it a little less healthy, but I bet it would be really yummy! You could always make a traditional tuna salad with mayo! I love tuna with avocado! This is a really interesting way to serve it. I have only made it on a sandwich. Thanks for the recipe! Looks so good! I don’t buy sandwich bread very often but I always have nachos, tostadas or tortillas on hand…that’s how I came up with this recipe! Everything about this is fantastic! We love tuna and we love avocado. This is a super healthy dish, too. Yum! Thank you! Yes, it is…loads of omega 3’s! That sounds absolutely delicious. We LOVE avocados in our house. I can’t wait to make this for my family! I’m actually the only one who goes crazy over avocados! My son couldn’t get enough of the for a few months and then decided he didn’t love them anymore. He does love this dish though! !